“Covered California” is the new public health insurance exchange in the state of California. If you live California, you’ve probably heard quite a bit about it over the past 6 months. These exchanges are a new way to buy health insurance and are a major part of healthcare reform. The California exchange opened back in October of 2013. Since then, hundreds of thousands of Californians have enrolled in individual insurance plans there. Many of these plans have been subsidized by Advance Premium Tax Credits (or APTCs). These APTCs can substantially reduce the monthly cost of health insurance. Online. You can set up an online account and enroll via the internet. You can also assign a Certified Insurance Agent to your case through your online portal. Over the phone. You can call Covered California’s phone number and enroll with a service agent. In person. You can enroll in person with A) Certified Enrollment Entities, B) Certified Enrollment Counselors, or C) Certified Insurance Agents. The purpose of this blog post is to explain some of the advantages of enrolling with a Certified Insurance Agent. 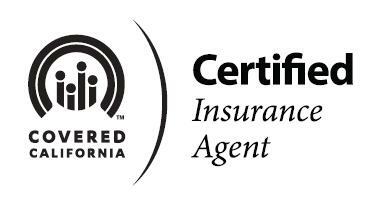 Certified Agents are Licensed Professionals: Any insurance agent that is certified with Covered California is also licensed with the state department of insurance. Many of these agents also have years of experience and know the industry well. A Single Point of Contact: This is one of the biggest advantages. You’ll have a single point of contact if you enroll with a certified agent. You can pick up the phone or send an email to that person anytime. If you need to make changes or have questions in the future, you’ll have someone familiar to work with. However, if you enroll with a Covered California customer service rep over the phone, or a Certified Enrollment Counselor, you may speak with different people each time. Certified Agents are Appointed Directly with the Insurance Companies: Insurance agents are appointed and have a direct relationship with the insurance companies. This can help with quick, effective, and efficient customer service. Certified Agents Have Passed Rigorous Certification Requirements: These are people that have gone through extensive training and testing to obtain their certified status. No Cost. You can work with a Covered California “Certified Agent” at no cost to you. Compensation is built into every insurance plan, regardless of whether-or-not you decide to work with an agent. Policy Advantage Insurance Services is certified. Please contact us if you have questions, or need ongoing help at Covered California. http://policyadvantage.com/wp-content/uploads/2018/11/New-Font-Design-1-300x124.png 0 0 PolicyAdvantage http://policyadvantage.com/wp-content/uploads/2018/11/New-Font-Design-1-300x124.png PolicyAdvantage2014-03-31 07:45:552016-05-28 01:32:46#Advantage: Working with a Covered California "Certified Agent"
Policy Advantage Insurance Services literally has the ability to help you with your health benefits planning, no matter what your current situation is. This blog post intends to specifically identify where we can help. Employers of Any Size: We have the ability to help any size employer, large or small. If you’re a business owner or executive, you probably know that there are some important differences between businesses (especially your number of full time equivalent employees), when it comes to healthcare reform. We can help employers with 2, 20, 80, 500, or even 1000’s of employees. We can help you design an effective, efficient, and budget-conscience health plan that will fit any business. Individual Health Insurance Plans Off of the Exchange: Are you self-employed or not offered a health insurance plan at work? It’s now easier than ever to “shop” and find individual health insurance. If your income is too high to qualify for exchange subsidies, we can help you find a plan off of the exchange. These are plans that are purchased directly through the insurance companies. Individual Health Insurance Plans On the Exchange: If you’d don’t currently have access to an affordable health insurance plan, and your income is between 100% and 400% of FPL, you may qualify for help with your insurance premiums through the new health insurance exchanges in the form of “Advanced Premium Tax Credits” (or APTCs). These credits can significantly reduce the amount of your monthly premiums. Policy Advantage Insurance Services is “Covered California Certified” and can help you select plans on the new exchange. SHOP Plans On the Exchange: The “SHOP” program is the new “Small Business Health Options Program.” This is a new program on the exchange that is specifically designed to help small businesses (under 50 employees) expand health insurance options to their employees. Those businesses that have less than 25 employees may see significant tax-credits to off-set the cost of premiums. The SHOP program is a group health insurance plan. As you can see, Policy Advantage Insurance Services has the capacity to help you in any circumstance. If you are a business, individual, or self-employed, we can help you find a plan that will fit your situation. One of our biggest goals is to help our clients save money and improve coverage. Contact us today, and we’ll help you sort it all out. If you’ve been following along at our blog, you’ll understand that there are now “open enrollment” dates each year for Individual and Family Plans (IFP). 2014 open enrollment is coming to a close soon. This very important blog post is for everyone: individual clients, group & employer clients, potential clients, friends, co-workers, family, and anyone else. **Individual and Family Plan (IFP) open enrollment is coming to a close on March 31st, 2014. 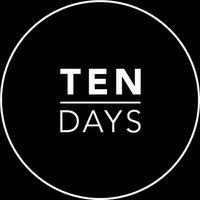 There are only 10 days left in 2014 to enroll. Open enrollment applies to all individual insurance plans on and off the new exchange. Those who don’t have a plan by March 31st, 2014 will not be able to enroll after this date until next Fall, unless there is a “qualifying event” (an example: loss of employer coverage). Good reasons to look into enrolling in a plan: health insurance can be very important, you may be able to find a good plan at a good price, and there is also a tax penalty this year for individuals who have not enrolled in a health plan. Policy Advantage Insurance Services has the capacity to help with all plans: on the exchange, off of the exchange, and group/employer plans. Regardless of your situation, we can help. We’ve helped many people enroll since last Fall (both on and off of the exchange). If you know of anyone: friends, family, co-workers, or anyone uninsured… please contact us (or share our info) and we can help them sort it out online, over the phone, or in-person. We’re about to enter the last leg of 2014 IFP (Individual & Family Plan) open enrollment. As a result of healthcare reform, there are now yearly open enrollment periods for individual and family health insurance plans. What does this mean? This means that if you plan on participating in a non-group (or non-employer) health insurance plan, then you’ll need to enroll during this new enrollment period. This year’s IFP enrollment has been extended until March 31st, 2014. The reason for this extension is because we’re in the very first year of enacting healthcare reform’s major provisions. In years after 2014, open enrollment will end sooner. The latest numbers show that nearly 4.2 million Americans have enrolled in health insurance plans through the new exchanges across the country. The Obama Administration says that this will be enough participation to maintain stability within the insurance markets. The last day to enroll in any individual or family health insurance plan (on or off of the new exchanges) is March 31st, 2014. If you have a “qualifying event” after open enrollment ends on March 31st (ie: the loss of an employer health insurance plan), you can enroll mid-year in a special enrollment. If your plan is subsidized through the exchange with an “Advanced Premium Tax Credit” (or APTC), make sure that your income is correctly reported, and that you keep the exchange updated with any income changes throughout the year. There is a tax penalty in 2014 for not carrying a “minimum essential coverage” health insurance plan. This tax penalty is $95 or 1% of household income (whichever is greater). With that, we’re into the anchor leg of our first healthcare reform open enrollment period. Expect to see some additional late participation in these past few weeks, that will most likely push the total first year enrollment up over 4.2 million Americans. If you need help enrolling, Policy Advantage Insurance Services is “Covered California Certified” and can assist you with plans on or off of the exchange. Please feel free to contact us with your questions. Voluntary Benefits (the verbiage we’re using in this blog post). Supplemental Health Insurance (verbiage we’ve used in the past). Ancillary Benefits (or: benefits that support existing benefits). The above listed could all be considered “voluntary benefits.” Each are composed of a variety of different important products when designing employer health programs. The big question: What are voluntary benefits? Answer: voluntary benefits are exactly what they say they are. They are products that employees voluntarily participate in at work. In other words, employees typically pay for voluntary plans with their own money. The employer usually does not make a contribution. The next big question: What types of plans are available voluntarily? Answer: there are a number of different plans that are available on a voluntary basis. Listed below are a few of them. The last big question: Why are these types of plans poised to grow significantly? Answer: there are two big reasons why voluntary benefits are poised to grow significantly in the post-healthcare reform environment. It’s expected that there will continue to be increased exposure to “out of pocket expenses” and “cost sharing.” In other words, deductibles, co-payments, and coinsurance will all continue to be common. And most likely, these types of out of pocket expenses will continue to increase over time. Voluntary benefits can help reduce exposure to these kinds of expenses. Read more here. Government money is now helping to pay for a considerable number of new health insurance plans. This is especially true for small businesses (under 50 employees). With the integration of the new health insurance exchanges into the insurance marketplace, the federal government is now helping millions of new people pay their premiums in the form of tax subsides. What does this do? It frees up money for products like voluntary benefits. As you can see, voluntary benefits will be a very important component in the post-healthcare reform environment. 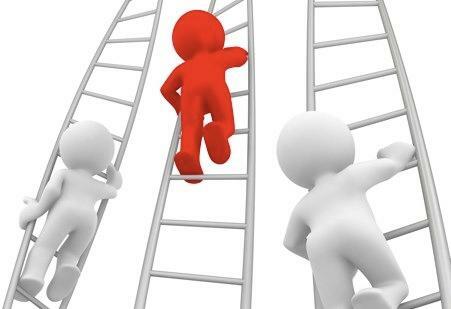 According to a recent study by Met Life, 51% of employees are willing to bear more of their benefits costs in order to have better choices, and 58% of employers say providing voluntary benefits will be significant to their benefits strategy in the coming years. Policy Advantage Insurance Services provides a broad range of voluntary and ancillary products. If you have questions, please contact us, and we can evaluate your situation (as a business or individual) to see exactly where these benefits can fit it, and how they can help. Continue to look for additional posts on this topic.